Business Description: I am a full time wedding Disc Jockey--experienced, organized, detailed, and easy to work with. I have worked courteously and effectively with countless brides, grooms, corporations, schools, and families to plan their special day, and I have the experience to tactfully adapt to the crowd I am entertaining to ensure that people of all kinds of ages, nationalities, and ethnicities have a great time. I can provide you with what you need to make sure your event turns out just the way you dreamed. I can assure you that if you hire me as your DJ, you can relax and have a stress-free event (well, at least the entertainment part will be stress-free). I provide DJ services, as well as Master of Ceremony services (M.C.). I contacted Dj Paul about doing my wedding and he has great customer service. However, I am not happy that soon after contacting him I received emails from a photographer and other vendors stating they got my contact information from him. I contacted you for your business, not to have my information shared. I think a recommendation for you could be to ask the customer if they'd like their information shared. It's just a privacy preference we all know information gets shared but all I asked for was a quote, not a list of vendors emailing me. 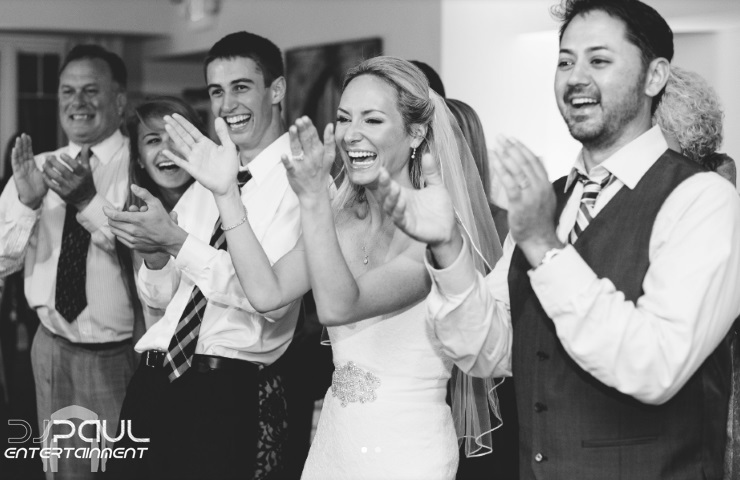 Everyone at our wedding absolutely enjoyed DJ Paul's music and entertainment style! We can't say enough good things about Paul. As preparation for our big day, he took the time to make many phone calls to us and made sure we were happy with everything. He made it seem as though we were his main priority. Thank you DJ Paul! We decided to go with DJ Paul as our DJ on our most important day of our lives and we were extremely satisfied with his performance. Not only was he responsive during the planning process, but he continued to WOW us with his knowledge and expertise in his field. He played all of our requested songs and kept the party alive all night long. He engaged with all age groups of our attendees, we had an amazing time and I definitely would relive the night again with Paul as our DJ. Thank you so much DJ Paul!